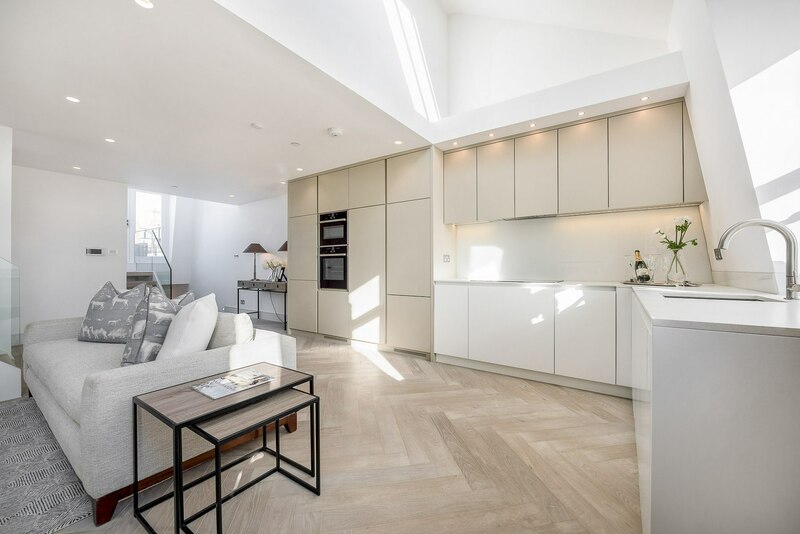 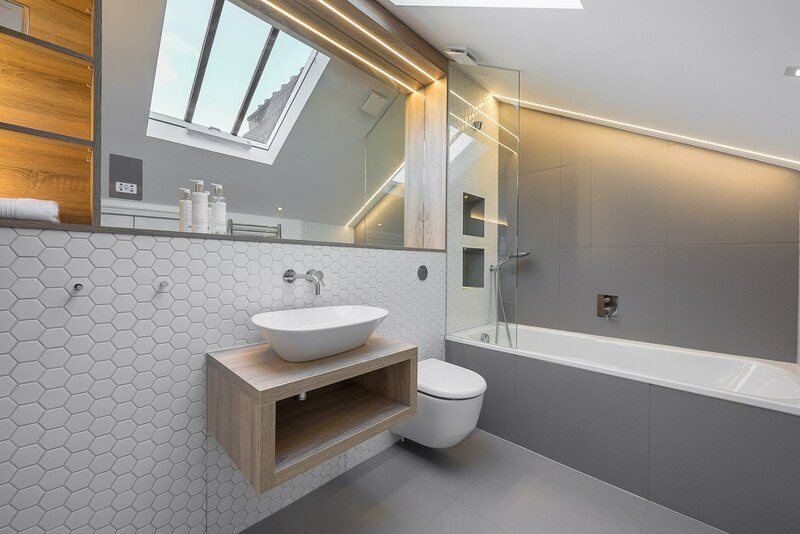 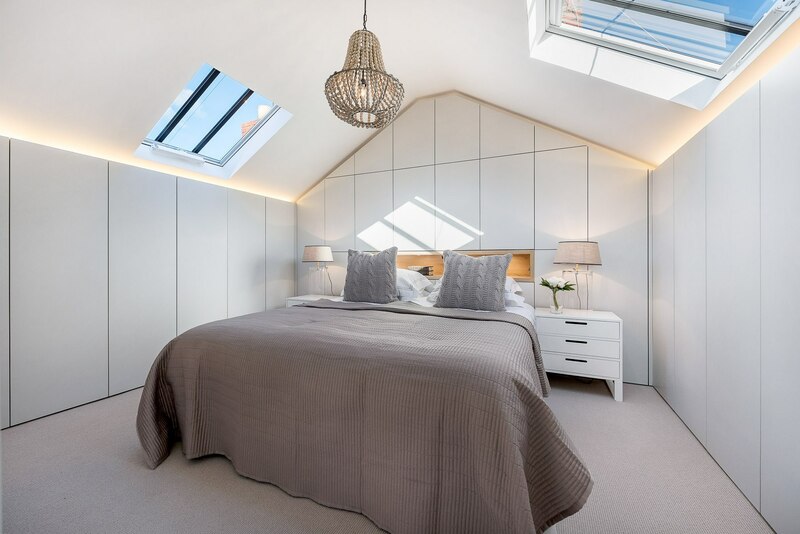 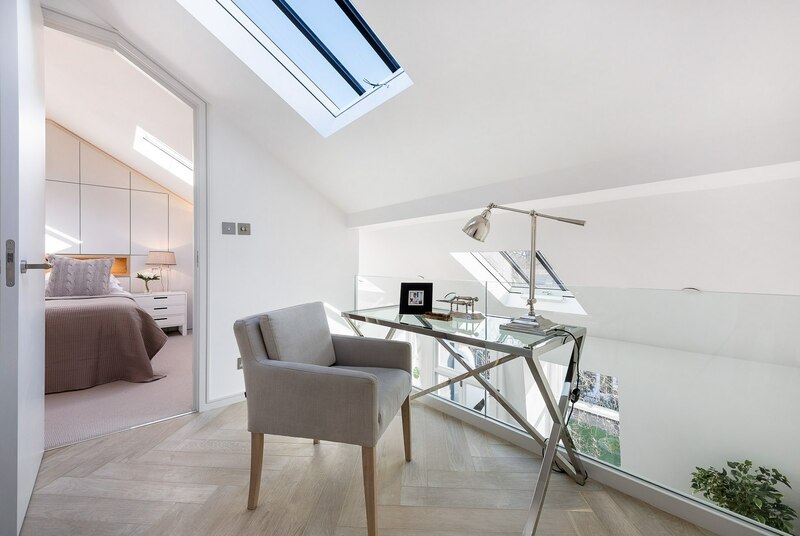 The interior of this existing dark top floor duplex in the London Borough of Kensington & Chelsea was completely gutted and the roof rebuilt to create a bright open plan triplex apartment with direct access to a private roof terrace. 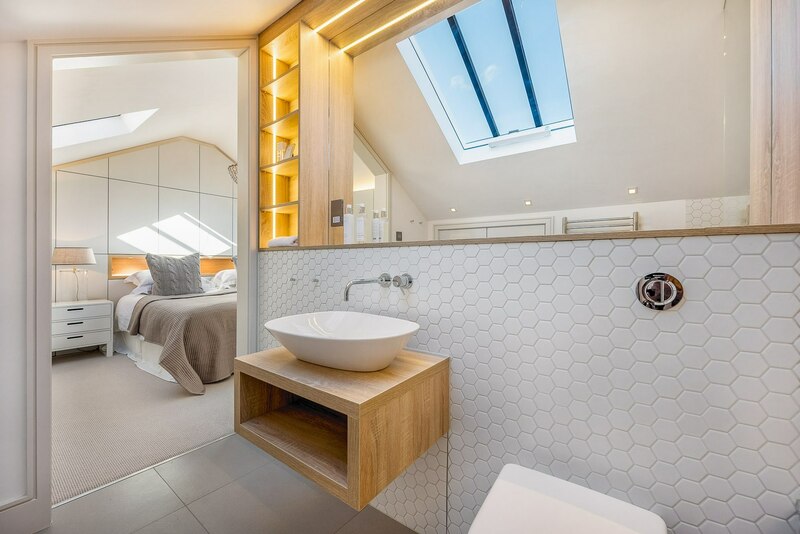 A top mezzanine floor, comprising of a new master bedroom and ensuite bathroom, encourages views between the living space and the landing through frameless glass balustrades. 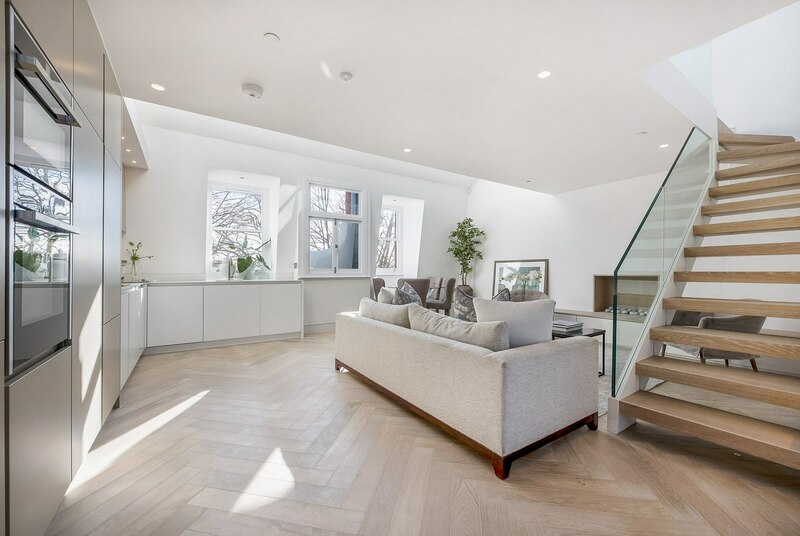 Bespoke joinery maximises storage capacity to all rooms whilst the rooflights, glass balustrades and light coloured oak parquet flooring all help to bring daylight into the open plan living space. 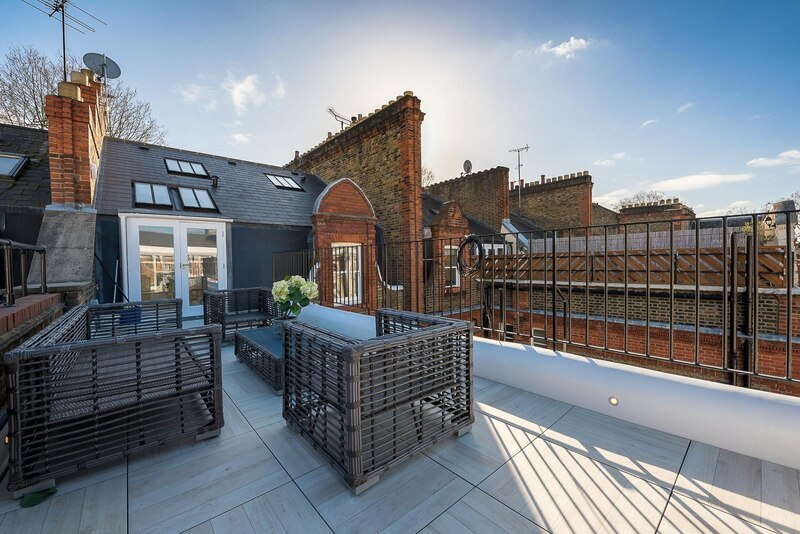 Planning permission was granted in January 2016.